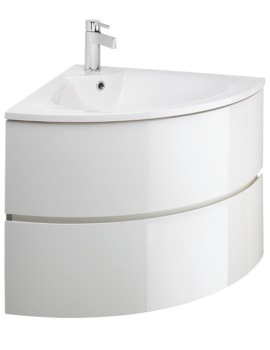 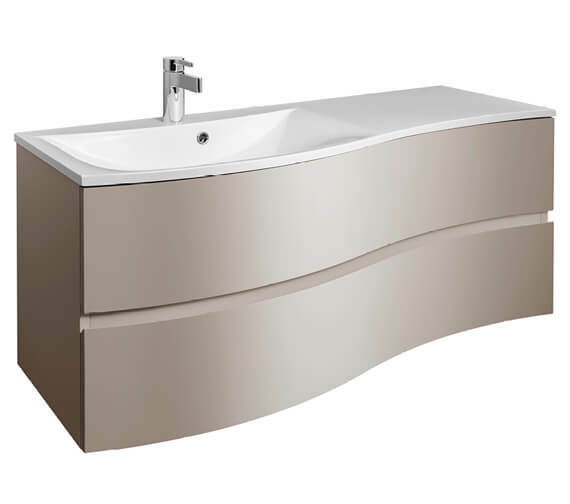 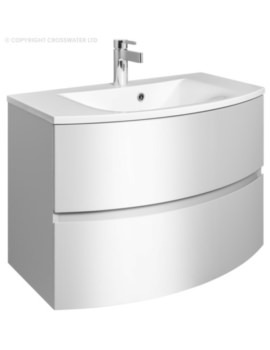 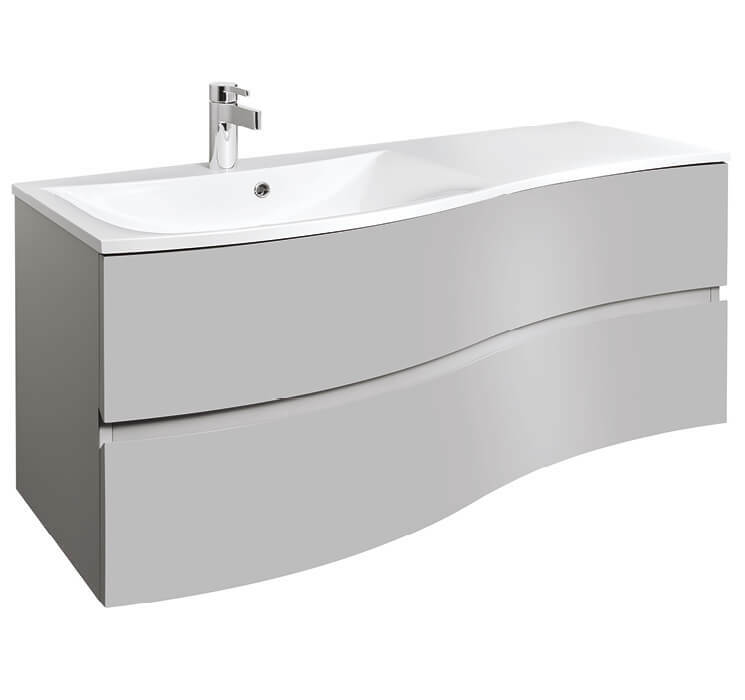 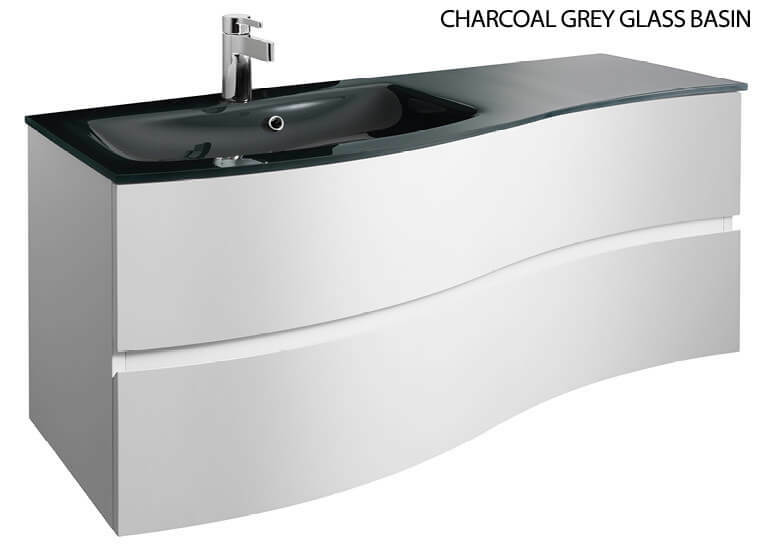 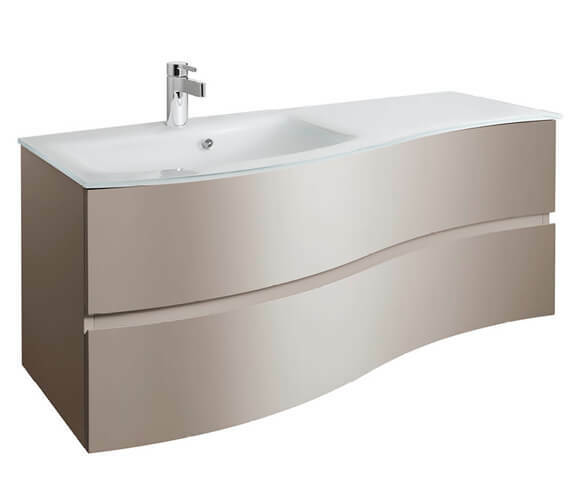 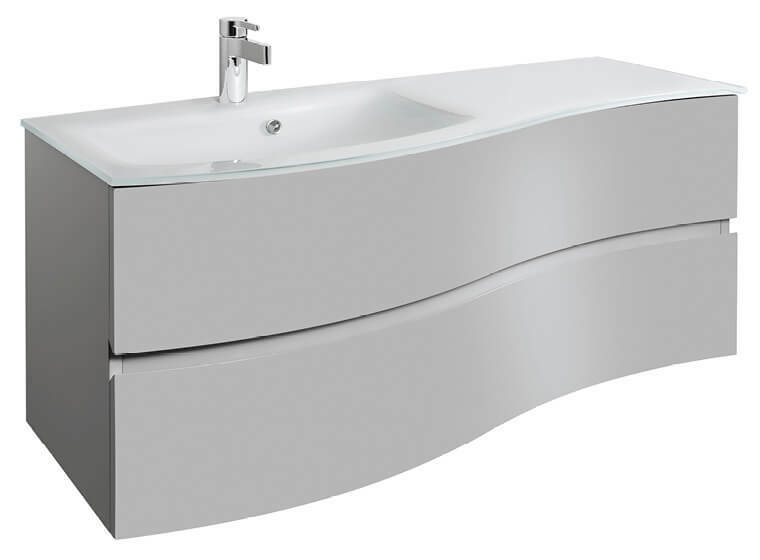 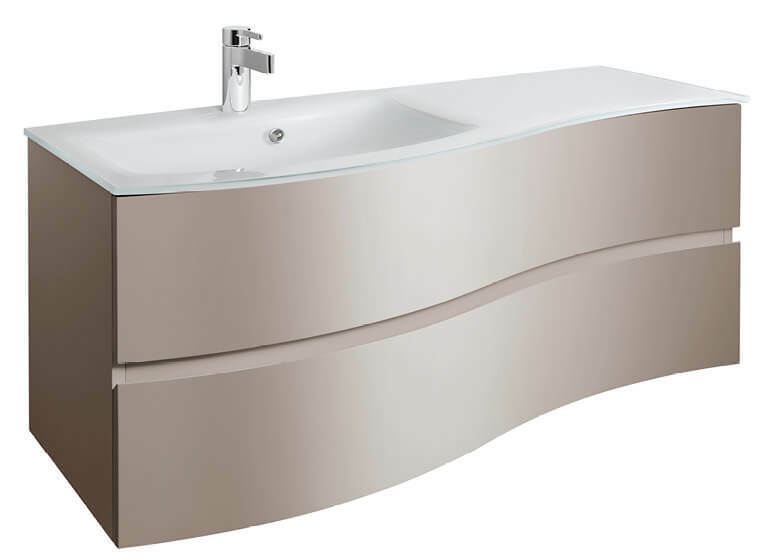 Bauhaus Svelte Wall Hung Unit and Charcoal Glass Basin is a fine example of aesthetic grandeur and smart utility. 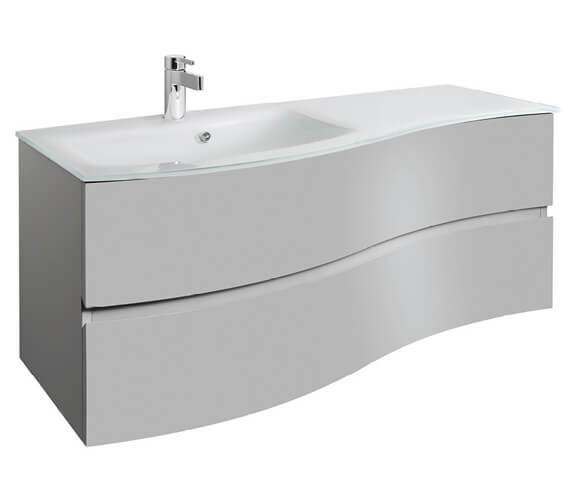 The furniture unit integrates 2 drawers and a basin for a complete bathroom solution. 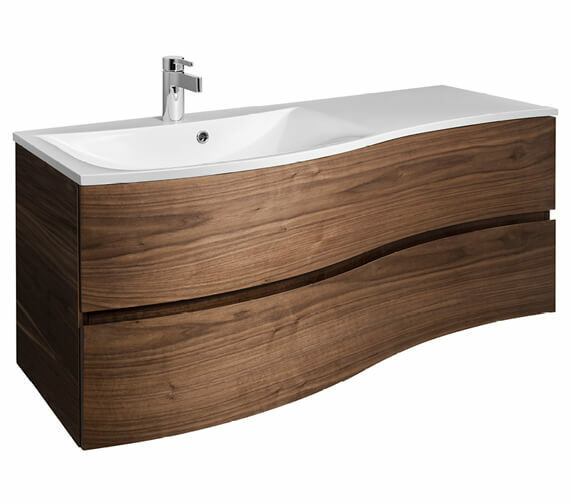 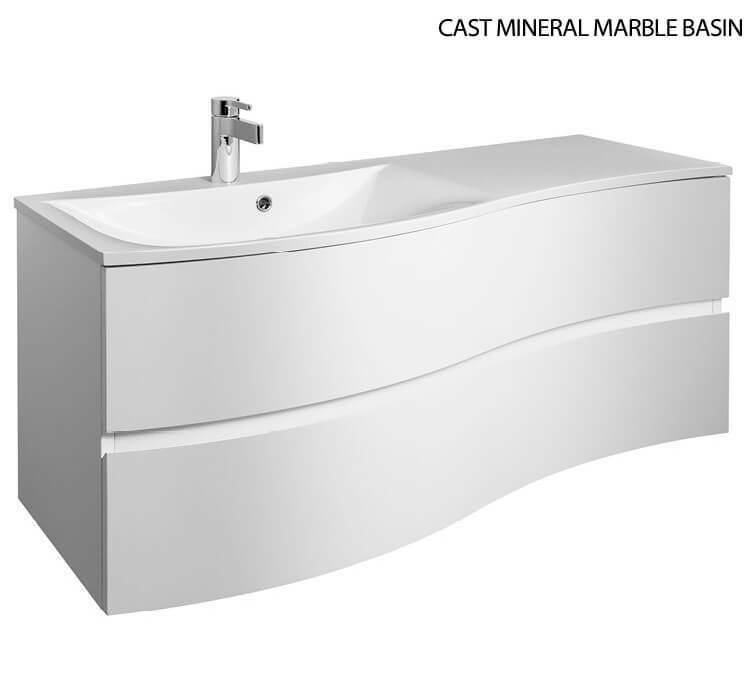 The body is a rigid carcass of 18mm thickness which has been given a trendy finish. 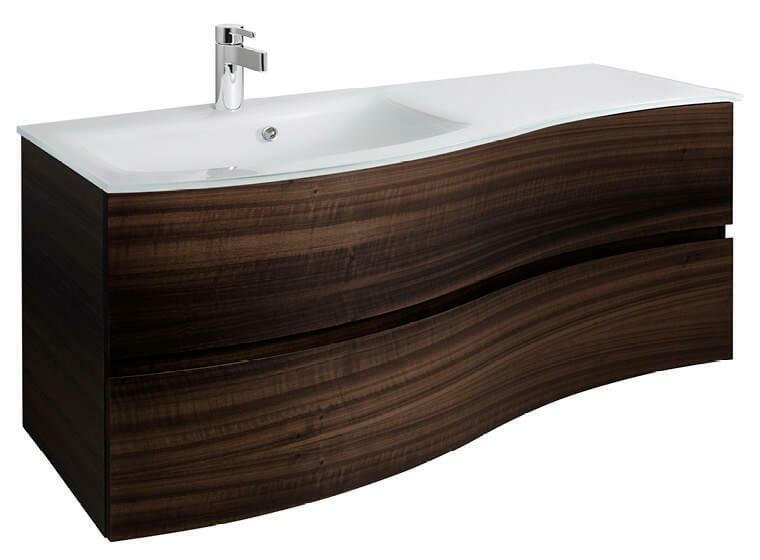 Drawers are soft close which makes them a delight to use. 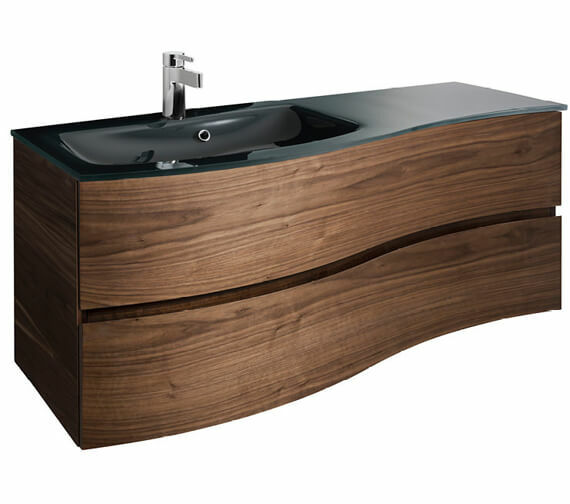 The upper drawer comes with a cut-out for the waste. 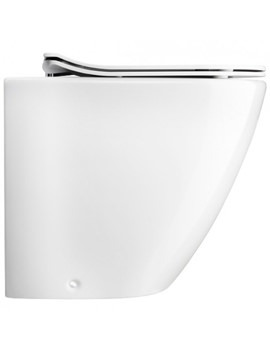 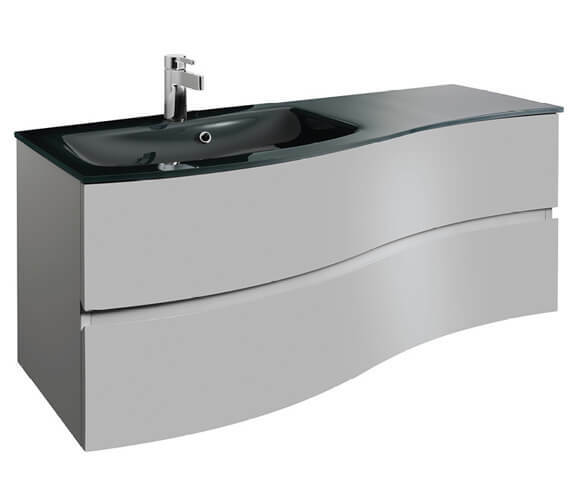 It is fitted with a single tap hole basin which is resistant to high temperatures. 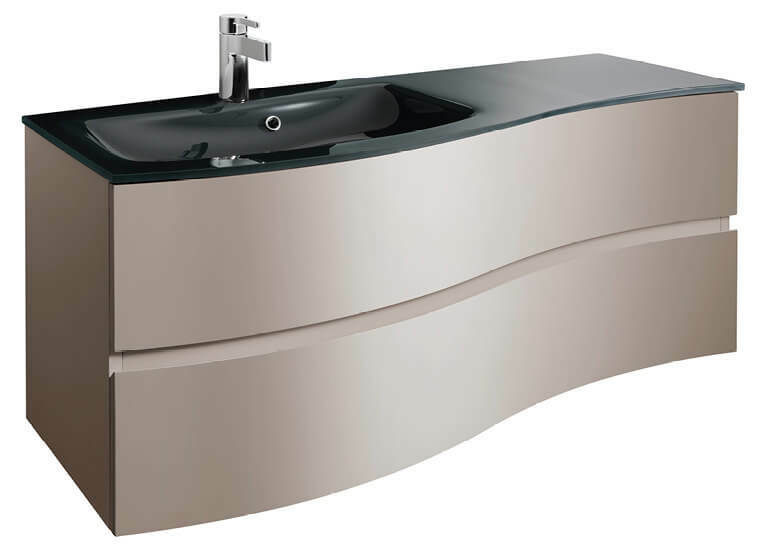 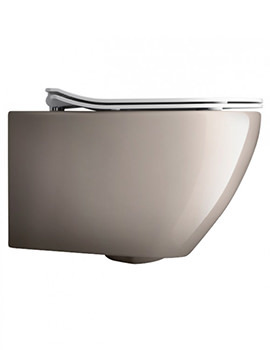 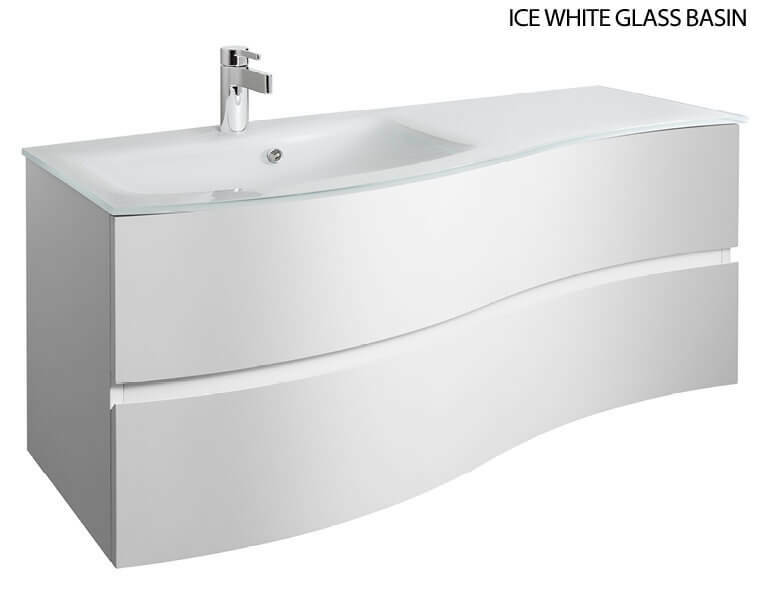 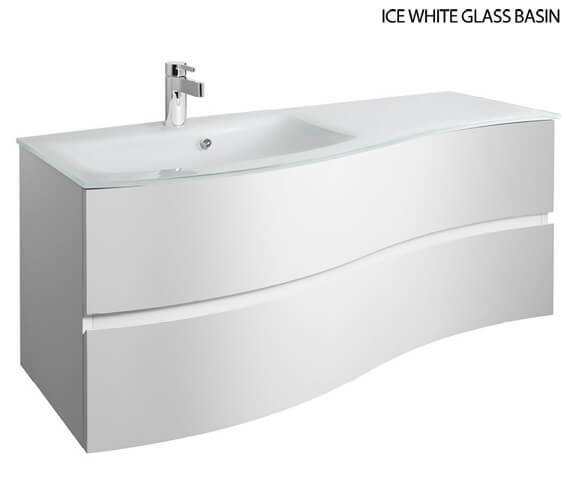 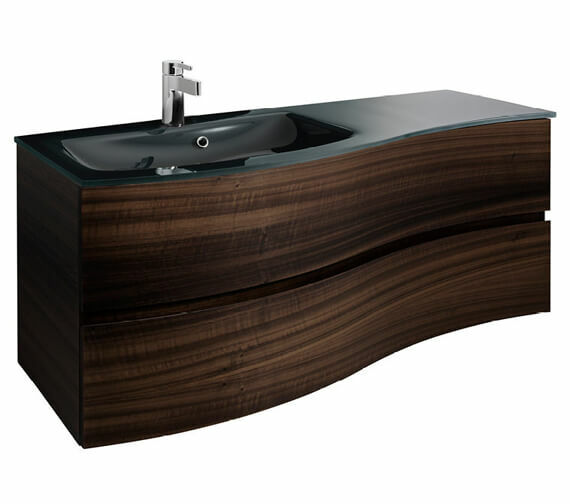 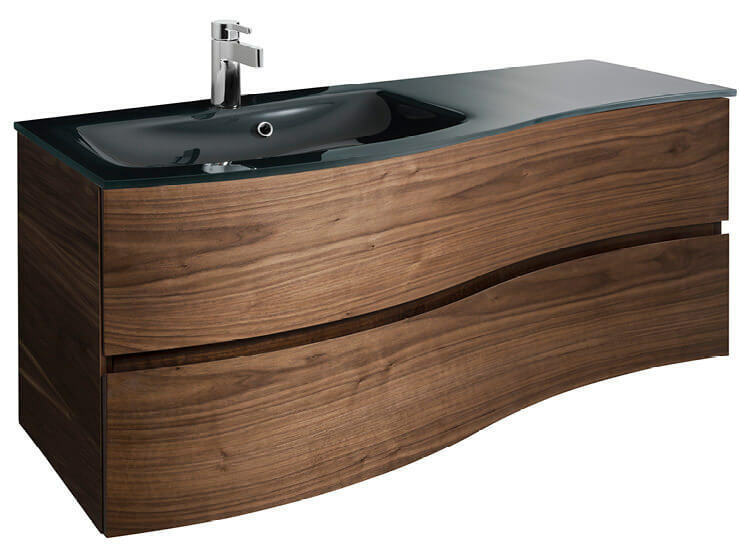 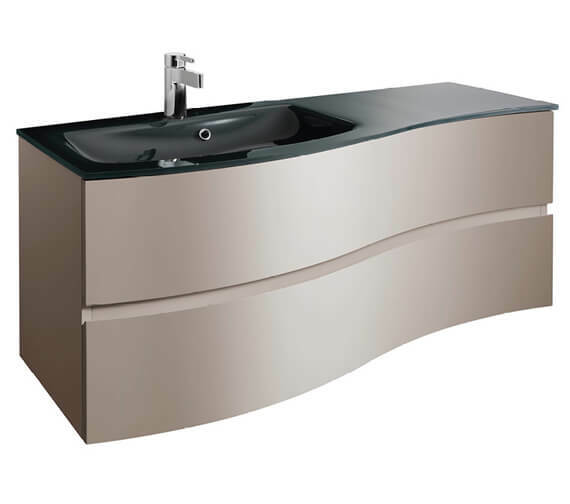 The basin is made from new-age thermal hardened glass and has a high gloss finish. 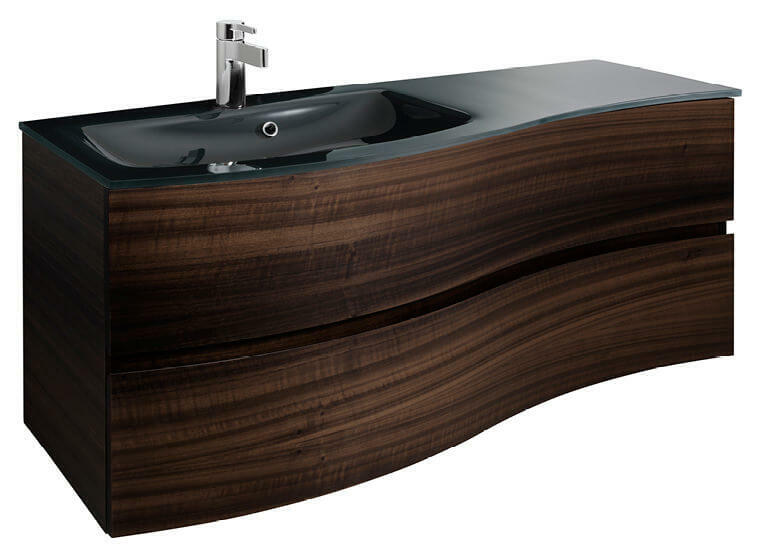 The furniture made from quality materials and comes with a reliable guarantee. 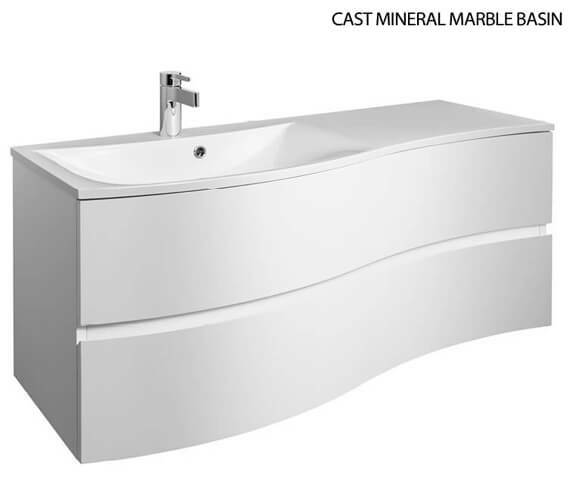 Tap hole option for your basin. 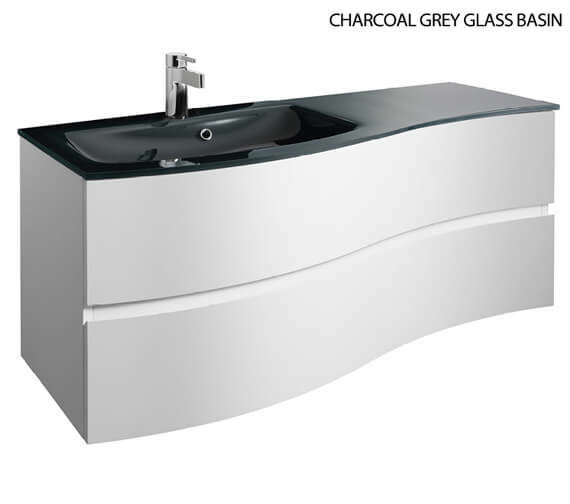 Choose the desired from the options given below. 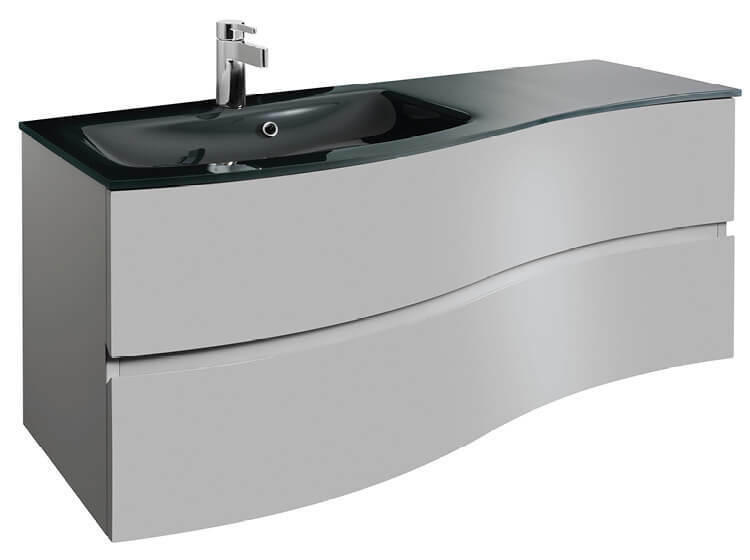 Please Note: Three tap hole basin is available to special order, please contact our sales office. 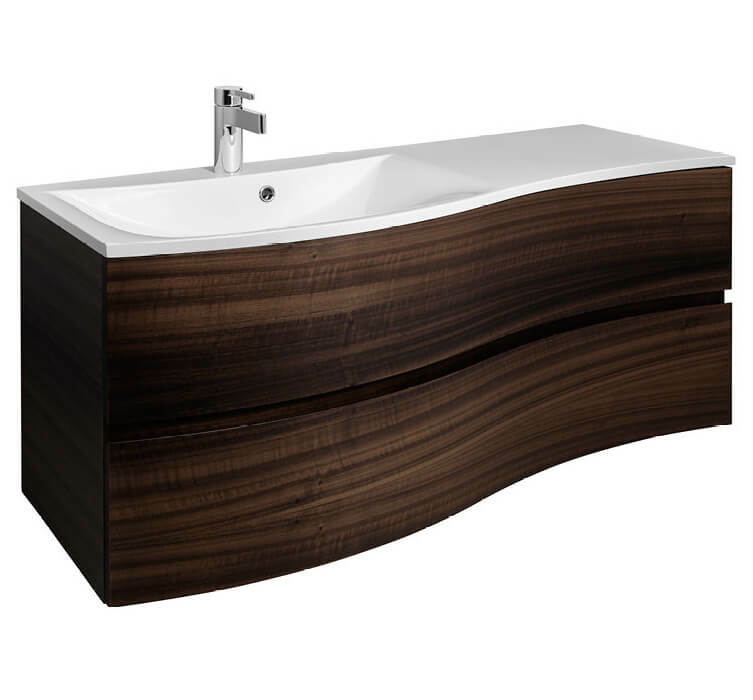 Once the order is placed it cannot be cancelled or returned.